Aged thirteen, Theo Decker, son of a devoted mother and a reckless, largely absent father, survives an accident that otherwise tears his life apart. Alone and rudderless in New York, he is taken in by the family of a wealthy friend. He is tormented by an unbearable longing for his mother, and down the years clings to the thing that most reminds him of her: a small, strangely captivating painting that ultimately draws him into the criminal underworld. It’s been 11 years between books and Donna Tartt is back in form. Like her prodigious debut The Secret History, The Goldfinch has the look, feel and weight of a classic novel, one worthy of Tartt’s – and the reader’s – considerable investment. Postmodern in themes and events, The Goldfinch is built on the conventional Bildungsroman or coming-of-age story. Protagonist Theo Decker is virtually orphaned by an act of terrorism that kills his mother and, during the chaos, commits an impulsive act of theft that will come to define the rest of his life. On the same day as losing his mother, Theo also falls dramatically in love with the redheaded Pippa who, like Dante’s Beatrice, becomes an unattainable beacon of love and purity. Their fates become entwined, with Theo eventually sharing Pippa’s guardian, the kindly furniture restorer Hobie. Hobie is also a portal into New York old money, art snobs and a scheme that eventually leads to Theo’s undoing. Tartt devotes a large, curiously uneven amount of time to Theo’s pained adolescence, which makes sense on a narrative level, but somewhat interferes with pace. Theo’s time in the cultural dessert of Las Vegas with eccentric punk Boris, his astrology-obsessed dad and his trashy girlfriend Xandra are interludes of dark comic genius. Tartt captures the romantic intensity of adolescence, alienation and suffering beautifully, and expertly portrays a boy growing up too fast in modern America without moralising. The painting of the goldfinch is a recurring narrative symbol, tied to Theo’s loss, catalysing a lifetime of obsession and blunder. It also works skilfully as a plot device, allowing Tartt to explore some very modernist universal truths – love, fate and beauty – and to explore polarities like authenticity versus fakery, crime and punishment, and our doomed and paradoxical pursuit of ‘owning’ beautiful objects. 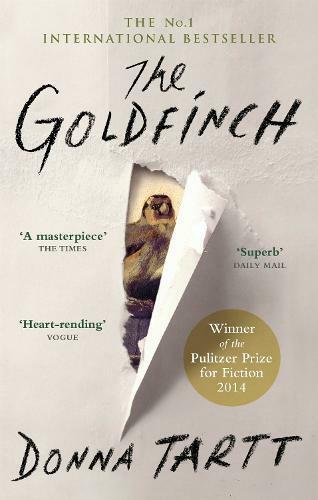 This third novel, The Goldfinch, makes her second novel, The Little Friend, look like a clever but unremarkable middle child.